Education in the 21st century has been tasked with preparing students to begin the journey towards a place in their communities in which they feel fulfilled and autonomous. Service learning is one way to introduce students to careers and knowledge that will prepare them for a successful life. 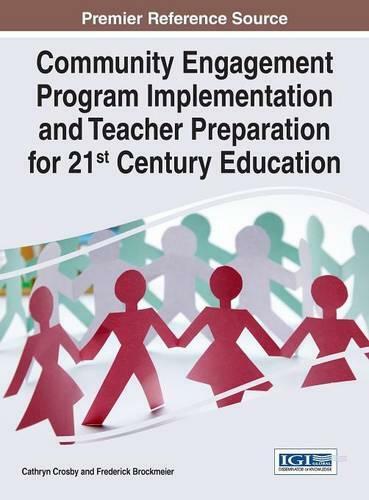 Community Engagement Program Implementation and Teacher Preparation for 21st Century Education examines the many ways in which community engagement is carried out in all educational settings, from K-12 to higher education. This publication is unique in its mission to examine these topics from a holistic perspective. From online education to volunteer organizations, this book gives educators, administrators, community volunteers, and students a window into the successful deployment of such programs to prepare students for a global society.